In July, Maddy popped over to Holland for a weekend of training in Amsterdam. Arriving at Alkmaar on the first day, she found the Dutch Olympic Men’s Team Pursuit were deep into training. Maddy enjoyed three days of track training with fellow Master Track Cyclists and an up and coming Dutch National Sprinter – all of which proved to be challenging and fun. 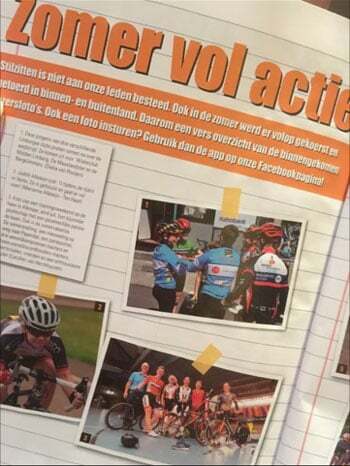 She even made it into the Dutch National Cycling magazine!